Optimize your high-production printing with the economical, trouble-free performance of 20-lb Bond with ColorPRO Technology for PageWide XL printers. A variety of sizes and bulk tub pallets are available, streamlining workflow for higher productivity and lower costs. See the difference. Produce high-impact graphics with a wide range of colors, precise lines and sharp, fine detail. 20-lb Bond with ColorPRO Technology is designed for PageWide XL printers to deliver professional-quality results and is optimized for high-production environments. HP bond papers with ColorPRO Technology use 13.5% less ink and provide up to 60% more color than standard bond papers without ColorPRO Technology. 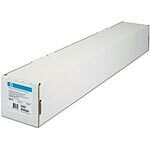 HP large format printing materials are designed together with PageWide XL pigment inks and PageWide XL printers to provide dependable, quality performance. Meet the environmental objectives of your company—and your clients—with this recyclable paper.